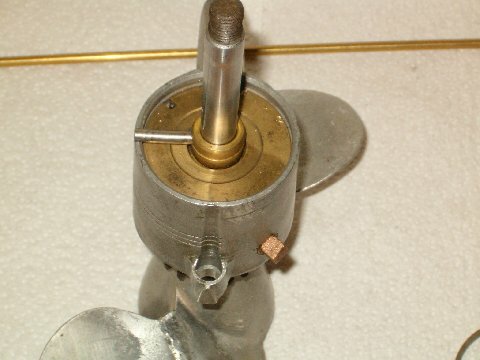 Closer view of the Impeller type water pump used on "K" model Single & Twin cylinder motors. 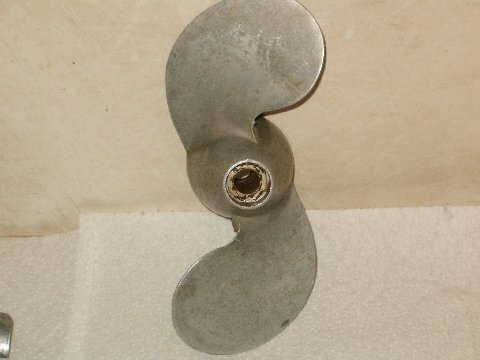 Water pump removed from lower unit with propeller removed. 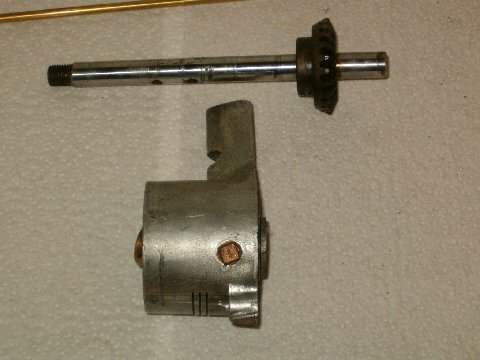 "K" model impeller assembly with prop shaft gear and clutch shown. 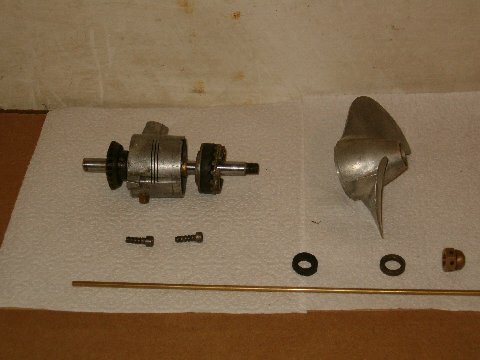 "K" model propeller and clutch components. 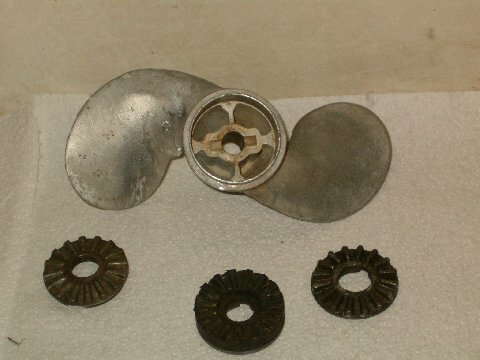 A shear pin is not used with this design. 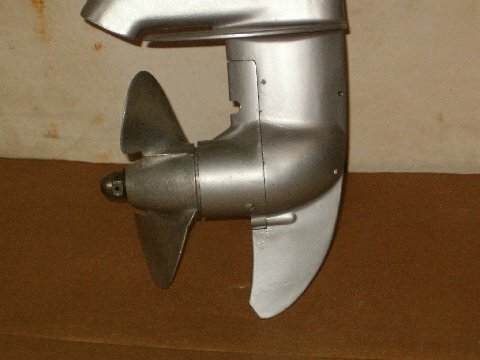 Propeller casting is MB 209 with a 1/2" bore for "K" models and a 9/16" bore for KE-7 motors. 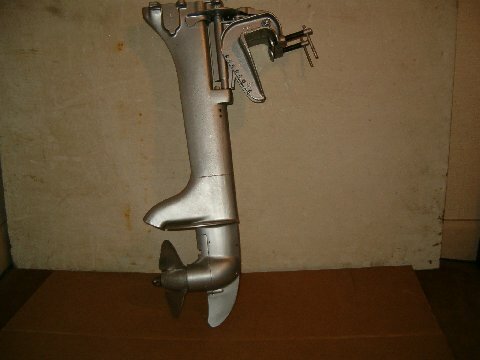 Some of the tool to make the job easier. 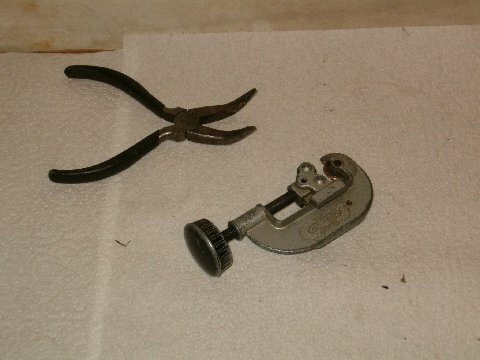 A bent tip needle nose pliers for removing retainer and a tubing cutter for making pins. 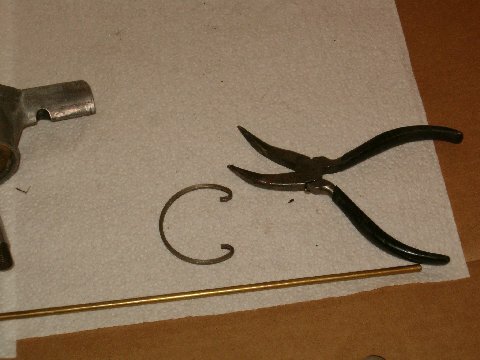 3/16" brass rod from Lowes shear pins stock, retainer, and pliers. Pin partially removed. Note-Remove spring first, line pin up with groove. This is the proper way of removing and installing pins. 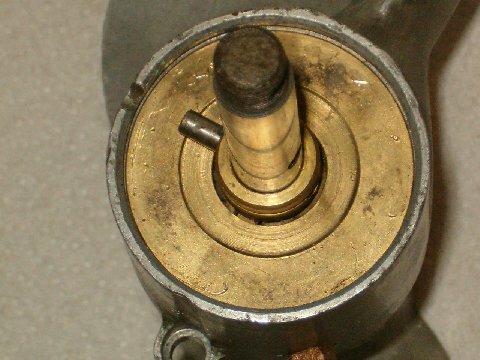 Pin pushed into groove to remove or install. 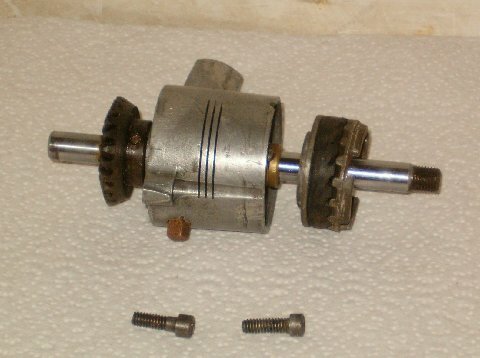 A second pin engages the clutch assembly. 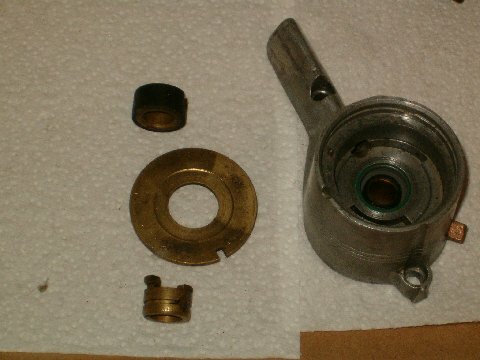 Impeller core, cover, impeller drive hub, and water pump assembly. I would like to thank Garry Spencer and John Kwast for some of the images provided. In addition to my photo's, the pictures on the Wizard Picture page are courtesy of Ronald Lietha, Frank Presch, and Stan Jackson. The technical information and lower unit picture are courtesy of Louis Doering. Thanks-you very much guys! Copyright © 2006-2015 Jason Baxter. All Rights Reserved. Double click on the STOP button to STOP the music.